Universal Pictures has just released a new Girls Trip movie poster and, in the gallery viewer below, you can take a look at the full poster design for the upcoming comedy. 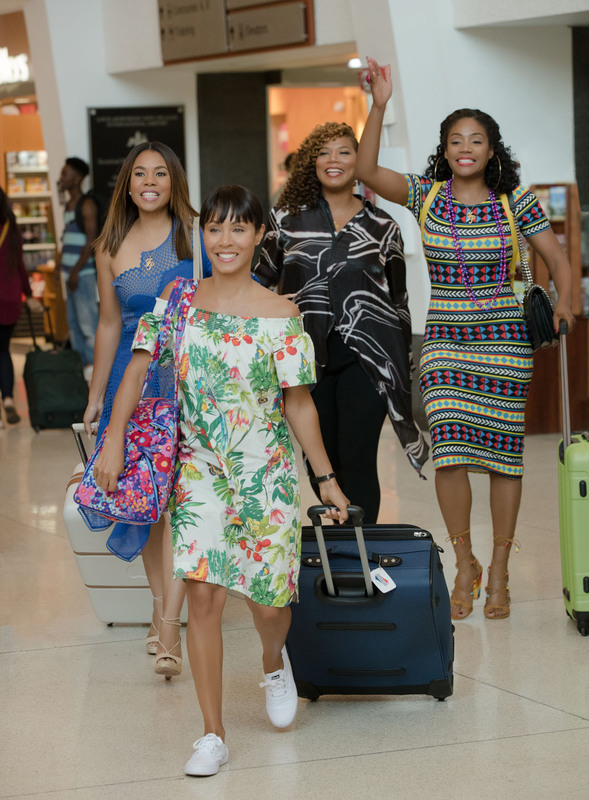 From producer Will Packer (Ride Along and Think Like a Man franchises), Girls Trip is directed by Malcolm D. Lee (The Best Man franchise, Barbershop: The Next Cut) and stars Regina Hall (About Last Night, When the Bow Breaks), Queen Latifah (Chicago, Miracles From Heaven), Jada Pinkett Smith (Gotham, Bad Moms) and Tiffany Haddish (Keanu, The Carmichael Show). RELATED: Watch the Girls Trip Trailer! Be sure to check back here tomorrow, too, as the new Red Band Girls Trip trailer is set to go live Thursday, February 9.